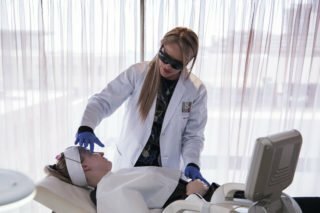 In this Q&A, we ask Dr Sly Nedic – founder and owner of 8th Sense and a GP with a special interest in personalized medicine and aesthetics – to share her insights on the future of personalized medicine. Here’s what she had to say. 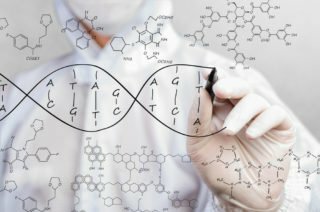 Q: What is genetic testing and personalized medicine? A: In a very simplified way, we treat genetic testing as preventative testing. We want to prevent an event (a disease) which can happen in individual’s life. By checking specific bio-markers in the body, we can see what the environment is doing to this particular individual with these particular genetics. Then we find certain bio-markers being changed by that and can then tailor an intervention. This includes a focus on prevention, specific lifestyle changes, etc. That is the basics of personalized medicine. Q: What makes us each different? Is it possible to find siblings with completely different genetic dispositions? A: Yes. I want to explain this through FTO gene. You could have two children, let’s say, two boys, born in one family. They both have two copies of the gene (one from dad and one from mom) and they have FTO gene. However, in one of them there’s a polymorphism of the gene, we call it SNP. What that means is, if the environment is not supportive, this gene will somehow kick in. So, during their childhood, they could probably eat the same food, exercise, play rugby, be very active. And then at a certain age when they’re, let us say 30, one of them has a sedentary life where he is sitting behind a computer and starts eating large amounts of food. Carbohydrates and drinking coke, for example. He is not watching what he eats. These genes suddenly kick in, and this person (with FTO SNP) starts developing obesity. When previously, during childhood, the environment was different when he was exercising and not even having time to eat, this gene was “happy”, this gene wasn’t kicking out. That is how these genes can be manipulated by the environment. In this case, you can see that the one wasn’t fortunate enough to have a good polymorphism and was developing obesity. Now, knowing what these genes do to us, we can tailor our environment. We can also tailor our interventions and say, “ Okay, in this environment I’m going to change this and that, because I simply don’t have these genes to supp ort me”. Q: So how much of it is our genes and how much of it is our environment? How much of this can we control? A: That’s a fantastic question. 90% of it can be controlled. In other words, our genes are not our destiny. When the patient comes, and I show them a gene and I say, “ Okay, this is a gene where you can’t detoxify heavy metals, and that means that you could have a lot of neurological problems and probably develop problems with energy levels, etcetera… but, it doesn’t mean you will go that way because we can do all this intervention to prevent it”. For example, in this case, I tell a patient, “You have to stop eating so much tuna, purify your water and make sure that you don’t retain so much mercury in your body”. We can tailor interventions. We can prevent and allow these genes not to be expressed in this way and we call that Nutrigenomics. 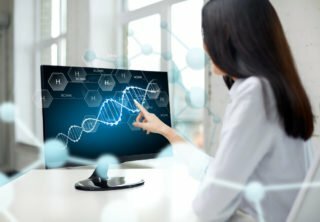 Q: Tell me a bit about your story with personalized medicine and genetic testing, and how you came to be a spokesperson for it. A: There is a passion behind it. When I was 35 I developed lupus as an autoimmunity. Everybody knows how passionate I am about aesthetics as well. However, this is something I want to have voiced out there, because we really can do so much about our health if we know what we our genetics are. So at the age of 35, I was working night-shifts; I was a pediatrician working in ICU. And I probably have one of these clock genes as well because I couldn’t sleep properly during the night. The stress levels were immense because it was a war in my country at that time. So my stress level was far larger than my colleagues who were in a stable family and not working night-shifts etcetera. I developed autoimmunity and somebody working almost as hard as me at that time didn’t develop anything. My genes were not “kind” to me during that particular time. Q: From there how did you go about managing that? There are an incredible numbers of people today that suffer from autoimmune conditions and lifestyle diseases. What’s being proven is that personalizing your approach to this can help you regenerate your health, so how did you go about it? A: There is plenty of research out there. Let’s start by saying that. We are working with science-based medicine and everything we apply in our lifestyle interventions is proven. Now, for example, I just came from this fantastic conference in Monaco. I got very excited because one of my idols was presenting on integrating medicine about FOXO3 – a longevity gene. He was just explaining that if you have two glasses of cocoa a day, you can actually turn on that longevity gene using the cocoa. So now guess what? Every night I drink sugar-free, not sweet chocolate cocoa – 2 glasses. So, you can not only target diseases, but you can prevent many things in life. The sooner you start, the better because you can prevent anything that is bad in your genes. Q: So for the younger viewers who are tuning in and are taking interest in this, should they go and get tested because it’s not something that’s age specific? 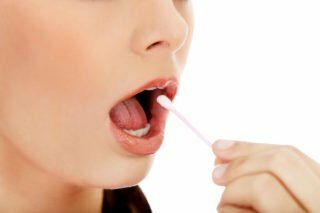 A: According to me, as soon as a baby is born, they should have gene testing. Parents should start as early as that. So if somebody knows that someone in the family is suffering from, let’s say, insulin resistance diabetes or Alzheimer’s, that’s already linking back, and we can prevent that. There is the science based medical intervention that you can use at any age to prevent something that you see somebody in your family has. So it should be considered for all ages, not just anti-aging and not just when you’re sick. Q: You can also use it for healthy ageing as well, is that right? A: That’s right. And that’s what I’m doing every day. The patient will come to me complaining and say, “ I just want to get a bit of a lift in my skin and get rid of some wrinkles,” and I’ll then start from the beginning and explain to them why they have these wrinkles in the first place. I always explain to them what has happened inside the body because when we age on the inside, we age outside. If you fix yourself with fillers and Botox and radio-frequencies, you’re still ageing on the inside; your organs are still ageing. I know that the heart is ageing if this face is ageing right? So I like to give them this beautiful insight and explain that to them. So I start with sugar and ask them how much sugar they eat. It’s always like that when my patient comes and they have a little bit more premature ageing, I kno w its sugar and its not just damage from the sun. We all have photo damage from the sun because we’re in South Africa, but sugar is a major one. I try to teach them and show them what it is that they can do on the inside to enhance beauty, and that’s my holistic approach for each patient. Each patient in my practice gets addressed holistically because I know that everything that happens on the outside comes from the inside. A: Yes, they all think its “airy- fairy” stuff. What I was trying to explain now when a patient comes with pimples and says she just wants to treat her pimple. I’m not just going to treat her pimple if I can see that she is more apple shaped in the structure of her body, has pimples and a little bit of hair on her chin, which is just “screaming” of insulin resistance. I have to treat this holistically. Meaning, I have to treat her insulin resistance; I have to go to the root of the problem, which is insulin resistance and not just treating the pimple. Using this analogy to my patients, I say to them, “Okay if you put rubbish into the house every day, are you just going to spray perfume so that it doesn’t stink? No, you’re going to take the rubbish out.” That’s how I explain finding the cause. I address every problem from its cause; if I treat the skin, I have to address what’s coming from inside. Q: How does the environment play a part of lifestyle diseases? A: The environment plays a huge impact because 90% of what is happening to us is due to our environment. As I said in the beginning 10% is genes, 90% is the environment. If I talk about the environment, we are going to have to have another 20 series of Ask the Doctor just about environment because our environment is literally killing us and that is from everything: this floor, for example. I mean, I drink bottled water from a glass bottle, and I refuse to drink from a plastic bottle (BPA) because it could cause obesity, premature ageing, it can work on insulin resistance and interfere with my oestrogen. Just from one plastic bottle! Now imagine environmental toxicity, imagine cell phone radiation! We are cluttered with this environment which is causing the majority of the problem. So now when you have a patient coming to you at the age of 21 being tired. I look at the patient, and I see that they may have oestrogen dominance. I ask myself where to start? How do I tell someone that is 21 to de-clutter completely and say don’t have sugar, don’t go drinking, don’t drink from a plastic bottle, don’t ever go to McDonald’s because look what it does to your body! It is very difficult but unfortunately its our reality. One thing that would happen if I show them a gene and that they have a particular pr edisposition and vulnerability, then they actually have compliance. Now that they actually know that they have the probability of developing certain diseases because their environment is going to be much harder on them than somebody else who doesn’t have that gene. Q: When it comes to who you go to for genetic testing, who do you go to? What do you recommend? A: I definitely recommend going to a trained person. I definitely recommend going to a medical doctor. You could go to a nutritionist to get help on anything to do with nutrition, but what I really think is that if you have a medical doctor then you have t go to a medical doctor. Q: Is genetic testing ethical to use on children and young athletes? I think you can use it on anybody. I did it on my daughter and I’m so happy I did it because now I can actually tailor her lifestyle. So when she’s with me she eats this and that. As soon as she is not with me; she gets more tired, more fat etcetera because she doesn’t use the same intervention. And now she knows now. I show her and tell her, “This is the passport for your life, so now you actually have to know what is bad for you, what is good for you and you have to make you decision.” I’ve done many tests for preventative genetic testing on a whole family.